Where "Your Emergencies Are Our Emergencies!" Our in-house dispatch center is open 24 hours a day, seven days a week for all towing services. Our main office and towing yard is open Monday thru Friday 8 a.m. to 5 p.m. and closed Saturday and Sunday. Our in-house dispatch center is open 24 hours a day, seven days a week. Do You Offer Emergency Towing? AF Towing offers emergency towing services through our 24-hour in-house dispatch center. Our knowledgeable and highly trained dispatchers are available around the clock to help you find the best solution to your emergency towing needs, no matter how large or complicated it might be. We are dedicated to providing quick, responsive towing services for all of Orange County, and will never forward you to voicemail or a third-party answering service. Can I Still Get My Car Out After Hours? We do release vehicles outside of our normal business hours of 8 a.m. to 5 p.m., Monday thru Friday. All vehicles that are released after hours must be in turnkey-drivable condition. We do not release wrecked or disabled vehicles after-hours and other tow trucks are not allowed in our yard after hours. All vehicles released after hours are subject to an after-hours gate fee. Gate fees vary according to which agency had the vehicle stored or impounded. Do You Accept/Offer AAA Towing? AF Towing is not a AAA-affiliated towing company. But we can provide services and give you an invoice to submit to AAA or your insurance company for reimbursement. How Much Does It Cost To Get Towed a Short Distance? Our rates vary based on the type of towing service you require (light duty, medium duty, heavy duty, or landoll). Give us a call today and we can provide you with a free phone estimate. What is the Largest Construction Equipment or Truck You Can Tow? Can You Tow Heavy-Duty Machinery and Trucks of Any Size? AF Towing is fully equipped to handle jobs of all sizes, including hauling Caterpillars, forklifts, big rigs, ambulances, busses, fire trucks, and more. Our extensive fleet of tow trucks and landoll trailers includes 25-ton to 50-ton heavy duty wreckers with specialized rotators rigged to lift and rotate loads up to 60 tons. Some of our largest jobs include towing the space shuttle in Los Angeles, transporting a 200,000 lb. 9-axle crane, and hauling theme park attractions. Can You Tow Oversized Loads? AF Towing holds all the required permits for over-length and overweight towing, and are experts at transporting oversized loads of all kinds throughout Southern California and out of state. Do You Offer Bus Towing? 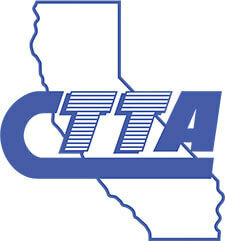 AF Towing specializes in bus towing and is typically the go-to towing company in Orange County for this service. Our highly experienced drivers are trained in using the best methods for loading and unloading buses for safe and secure transport. In fact, we often receive referrals from other towing companies who lack the equipment and expertise to handle the unique requirements of towing buses. We offer damage-free motorcycle towing services for Anaheim, Fullerton, Orange, Tustin, and surrounding areas. Our highly trained, experienced drivers use advanced equipment that has been specially designed to transport all makes and models of motorcycles. They always use the industry’s best practices to ensure that your bike arrives at its destination safely and securely. Do You Offer Interstate Towing? Yes. We hold a USDOT license from the Federal Motor Carrier Safety Administration (FMCSA) for interstate towing. Landoll towing services use a heavy duty trailer with a low riding flatbed to transport loads that would otherwise exceed the legal 14-feet height limit. It is often the ideal method for transporting heavy equipment, Caterpillars, large trucks, ambulances, motorhomes, limos, and more. At AF Towing, out 50 ft. Landoll trailers have a lowboy step deck design with a back end that drops to the ground. This allows us to use ramps, winches, and cables to pull the load up onto the trailer bed, without the use of a forklift or crane. My Driver Has Gotten Stuck at a Road Scale Weigh Station. Can You Help? Yes! Simply give our 24-hour dispatch center a call, and we will have one of our trucks out to your stranded driver as quickly as possible, even if your truck is located out of state. Our trucks are fully equipped to perform cargo shifts/load shifts, enabling your truck to legally pass through road scales and get back on the road. How Far Will You Tow a Car or Truck? 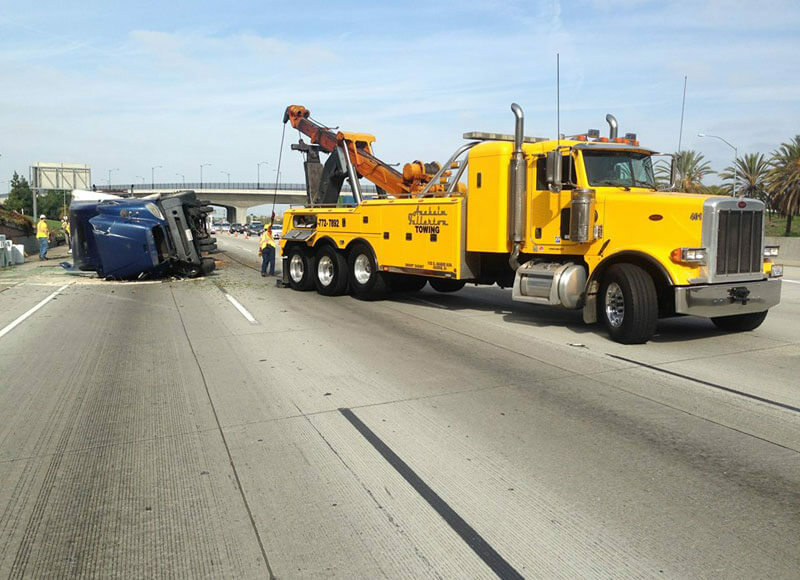 We offer towing and recovery services throughout Southern California, and also offer long-distance interstate towing. Give us a call today to speak to one of our friendly operators, who can assist you in determining a cost-effective towing solution for your needs. Do You Work With Apartment Complexes or HOAs? AF Towing does not offer private property impounds. I was involved in a very bad accident yesterday and this company towed my poor car to their yard. The tow driver at the scene was such a nice guy. I was so so upset and the guy was trying to keep things light and make me smile. When I went to the location to pick up my stuff from the car every employee was very nice. The only slight inconvenience is you have to go the location to release your car to your insurance company, it can't be done over the phone.